The Kunsthaus Baselland is among the leading exhibition venues for regional, national and international contemporary art in the Basel region. Since 1998 the repurposed factory building has offered (young) artists a platform of more than 1'400m² for artistic exchange in the framework of solo, group or thematic exhibitions. Numerous regional, and some international artists have had their first institutional showing in Switzerland or in Europe here. 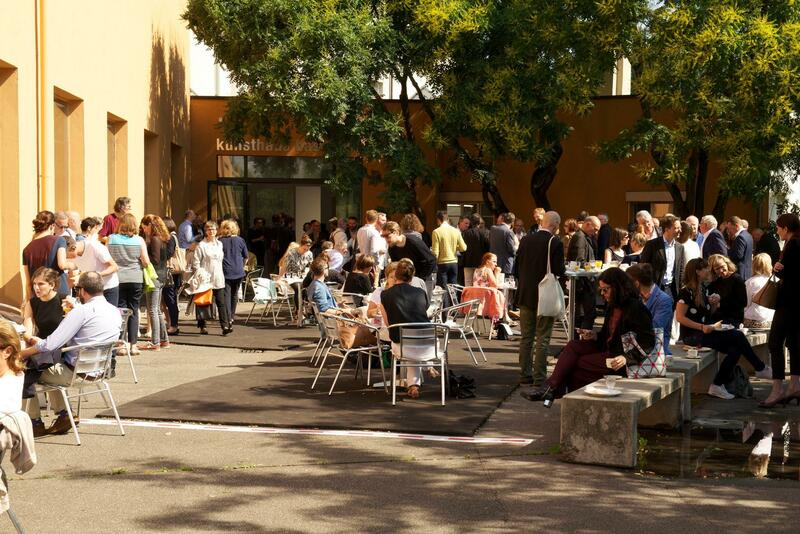 The curatorial programme is focussed on contemporary art in the Basel region which is positioned within an international discourse through accompanying international and national exhibitions. The Kunsthaus Baselland supports and promotes the creation of new works that enter into dialogue with the Kunsthaus architecture and/or that of the Basel region. Under the current director many of the invited local, national and even international artists have been encouraged to develop new, sometimes large-scale works and work series specifically for this site. As a public institution there is awareness of the Kunsthaus Baselland’s educational remit. An established educational programme is offered for children, young people and adults that is consistently developed and extended. The Kunsthaus Baselland should be a lively place for exchange and informed encounter with contemporary art. The exhibition programme is therefore, despite limited means, augmented by publications, talks and conversations with artists, creators and figures from business, politics and education. The Kunsthaus opens its doors for the study of artists and their works of art through collaboration with neighbouring, internationally active further education institutions. In the 1930s the systematic, institutional support of art in the Canton Basel-Landschaft began with the founding of a cantonal art fund. The fund committee organised art exhibitions that took place at intervals of two or three years and bought pictures and prints from these exhibitions, amongst others. A collection of art from Baselland started to develop. Following this the private Basellandschaftliche Kunstvereinigung (Baselland Art Society) was founded in 1944, which is today the Kunstverein Baselland. Local creativity in particular was to be supported through exhibitions and purchases. For decades the Kunstverein put on exhibitions by artists from the Basel region in the Schloss Ebenrein, which the canton bought in 1952. For want of an exhibition space the Verein also had to avail of empty factories, business premises, schools and tram depots. In the summer of 1997 the Kunstverein purchased the erstwhile factory building at St. Jakobs-Strasse 170 in Muttenz, realising a long-held wish for the Verein to have its own exhibition space. Leading in this matter was Richard Hersberger, president of the Kunstverein at the time. Shortly afterwards, the Kunsthaus Baselland was opened in its current form with approximately 1’400m² of exhibition space. In an industrial building that lies on the boundaries of the cantons of Basel-Stadt (Basel City) and Basel Landschaft (Basel Countryside), in close proximity to the St. Jakob stadium by the architects Herzog & de Meuron, the Kunsthaus Baselland can easily be reached in a few minutes by public transport from the city of Basel. The Kunsthaus is lead by a professional curator chosen by the Kunstverein committee. 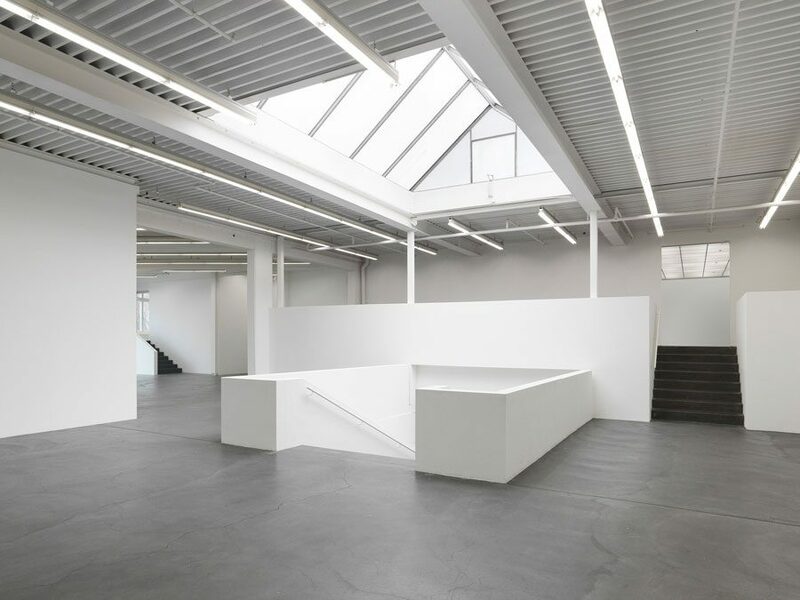 The main supporter of the privately-run institution is the Kunstverein Baselland, to which numerous artists, creatives and interested non-creatives as well as key figures from the Basel region belong. The Bildungs-, Kultur- und Sportdirektion department from the Canton Basel-Landschaft (kulturelles.bl) supports operation of the Kunsthaus Baselland with an annual funding contribution. This financial foundation is continually augmented through applications for funding from other sources in order to support artists producing work for their exhibitions at the Kunsthaus Baselland. The building in Muttenz belongs to the not-for-profit Kunsthaus Baselland Foundation. The function of this foundation is to provide the Kunsthaus Baselland with accommodation. It will also be the owner of the new Kunsthaus venue in the Dreispitz. 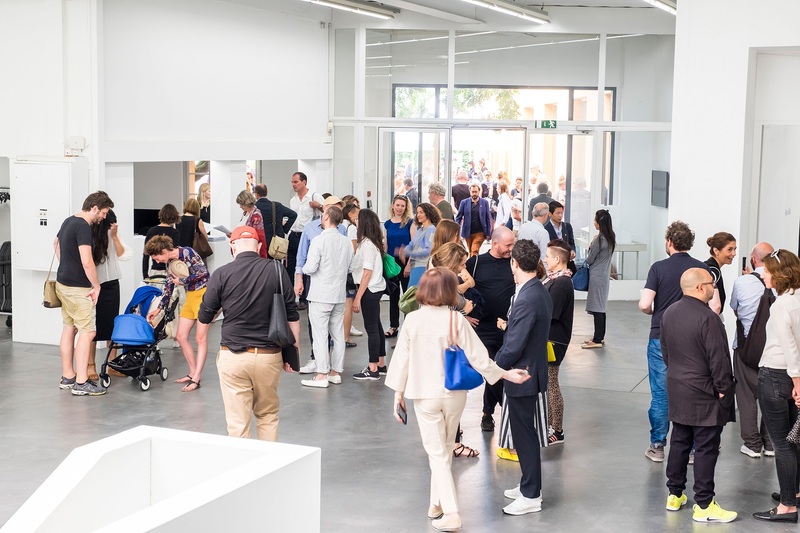 Over the past two years the Kunsthaus Baselland has strengthened its network significantly within the Basel art and cultural scene, in an international context and also in business, thanks to key cooperation partners. Contacts with universities, in particular with the various institutions of the Fachhochschule Nordwestschweiz in the Dreispitz area, as well as other further education establishments and academies in the region (including in Freiburg in Breisgau and Karlsruhe), have also intensified. Neighbouring schools and further education establishments play an ever more important role in the area of mediation. The broad international recognition gained by the Kunsthaus over recent years has led to good contacts with press and media on a local, national and international level. Start a friendship with art. Become a member of the Kunstverein Baselland! With your membership you promote the artistic work of (young) artists and support the Kunsthaus Baselland’s varied exhibition and education programme. Free entry to special events such as tours, talks, family days, artists’ workshops etc. Support art and artists and enjoy numerous exclusive advantages. Become a patron of the Kunstverein Baselland! The patrons of the Kunsthaus Baselland are particularly engaged with the Kunsthaus’ exhibition and education programme. Their generous yearly donations are decisive for artists to be able to realise new works for their shows in the Kunsthaus so that exhibitions can be realised that strengthen the international reputation of the Kunsthaus. Both private individuals and companies can become patrons of the Kunsthaus Baselland. We will be happy to advise you. We are glad of your interest and will send you further information.